BobCat House Concerts: May 12: A Mother’s Day Matinee with The Lynnes. May 12: A Mother’s Day Matinee with The Lynnes. This house concert thing is kinda fun. We had such a good time hosting Jory Nash on March 23 we’re gonna do it again, and this time with a giant treat for anyone who is, or has, a mother: The Lynnes. Lynne Hanson and Lynn Miles are The LYNNeS, two titanic songwriting and singing talents combining forces to bring multiple instruments, tight harmonies, and gritty and truthful lyrics to any stage they play on. And in between songs, the two play off each other. Anyone who’s seen Lynn Miles here at BobCat knows just how funny she is; Lynne Hanson is a worthy partner with her own wit and sensibility. 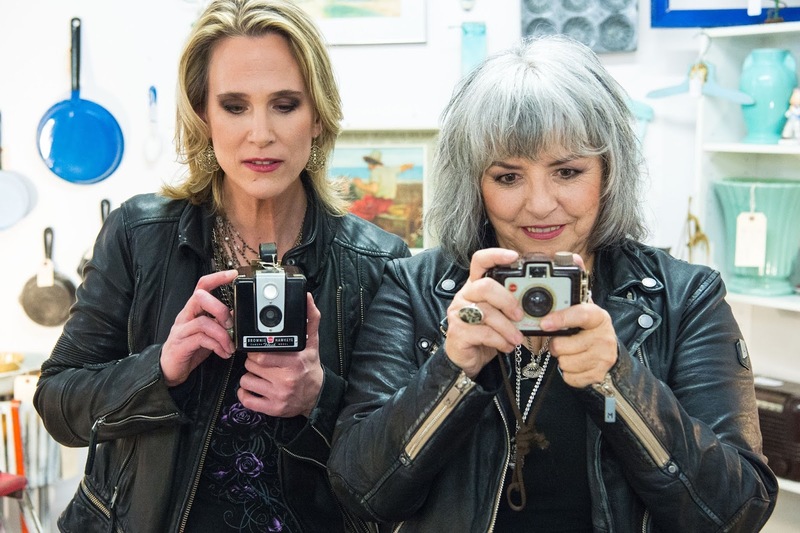 Their first album as a team, Heartbreak Song for the Radio, led to two Canadian Folk Music Awards for English Songwriter of the Year and Ensemble of the Year. WHEN: Sunday, May 12, Music at 2 pm; arrive any time after 1 pm. The suggested donation for this show is $30. Reserve your seat by emailing us and (ideally) sending us money by Interac e-transfer or PayPal to: bob.ledrew@gmail.com. We are Bob and Cathy, two people who love music and love sharing it with friends. Join us Chez BobCat on Google Maps. BobCat wants you to come to many, many shows. So while we are a BYOB operation, we strongly encourage responsible consumption. If you're drinking, please ensure you have a safe way home. If we feel you are unable to drive, we will call you a cab or work out a safe alternative for you. BobCat also wants you to not have allergy attacks. So be advised that while we do our best, we can't get all of Cooper and Mia's cat dander out of the house. We love you. But we also love our cats. Can't we all just get along? House concerts are intimate gatherings of friends and friendly folk to listen to wonderful music. They might be potluck suppers, or desserts. The constants are a musician or two (maybe three), an appreciative audience, and spellbinding shows that you'll remember. For more info, check out Home Routes, Acoustic Roof or Concerts in Your Home.